You don’t stay in business for over a decade without developing an excellent reputation. 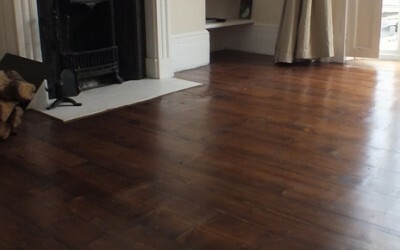 At GJP Floor Sanding London, we pride ourselves on not only earning our excellent reputation with every person we meet but also keeping that reputation for the life of our business. This is a big one for us, having satisfied customers will always be at the top of the list. It is our goal to make sure you are elated with your experience and the work you received from GJP. We do this by offering fair prices; transparent invoices and we will always walk you through our guarantees, warranties and every other aspect of the floor refinishing process. You will always be on top of everything that is happening and as such, you will never be caught off guard. With over 30 years of combined experience in the floor sanding business, our team is trained to focus on the little details. We will ensure that every nook and cranny of your floor matches the rest. Our keen eye for detail ensures that the job is done well the first time so you won’t have problems down the road. So what does it mean to have an excellent reputation? To us it means that our customers come first. We strive to offer the best service and wood floor restoration experience possible. We are not happy unless you are bragging to your friends about the awesome team at GJP that refinished your gorgeous hardwood floor. A true testament to our success is our customer testimonials. It always pleases us when happy clients are so impressed that they want to shout it out to the world. There are too many contractors out there that simply want to get in and get the job done so they can collect their money and move on. At GJP, we will never see you simply as a source of income. We are a family-owned and operated business and we try to keep those family values in every aspect of our business. We treat you as a human and we will work on your home as if it were our own.